Stickers Encino, CA : J-n-K Services Inc.
J-n-K Services, Inc. creates the best Stickers and labels for your products and marketing needs. We are located in North Hollywood, right next to the city of Encino, and provide our services to local businesses, non-profit entities, schools as well as other companies across the country. Certified Minority and 100% Woman-Owned Company, we are proud to have been in business since 1988 and are thankful for all of our loyal clients in Encino. We have countless options to choose from when designing your custom labels! We print one color to full color labels, product labels, bumper stickers, static clings, hot foil stamped labels, blind embossed stickers, thermal labels, mailing labels, variable data labels, tamper evident labels, repositionable stickers, water bottle labels and so much more! We have a fast turnaround time that will help you get out into the marketing and advertising world as soon as possible. 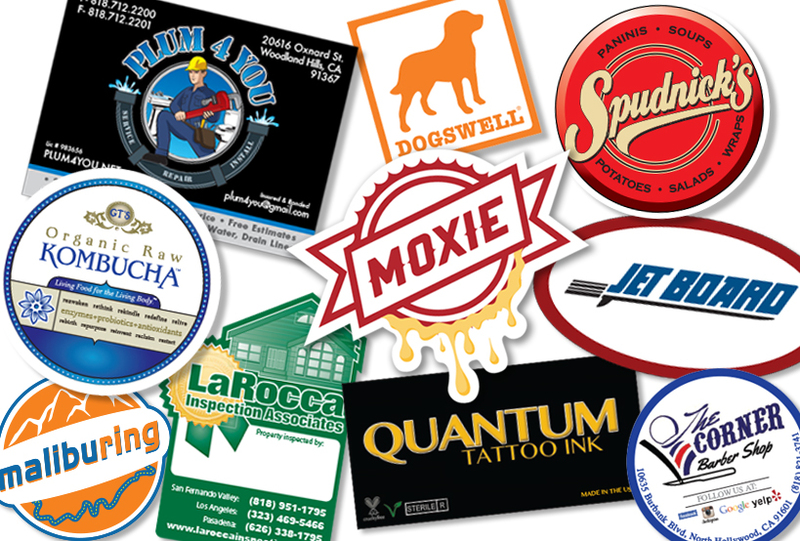 Whether you need stickers, labels, graphic design, printing, mailing services, or copies, we are here to help! We will assist you with any size project you have. Please contact us to see how we can take your company to the next level! Our Yelp! Reviews and Google Reviews are continually positive! Customer service is our first priority and we will always be happy to answer your questions or concerns, while giving our professional input.